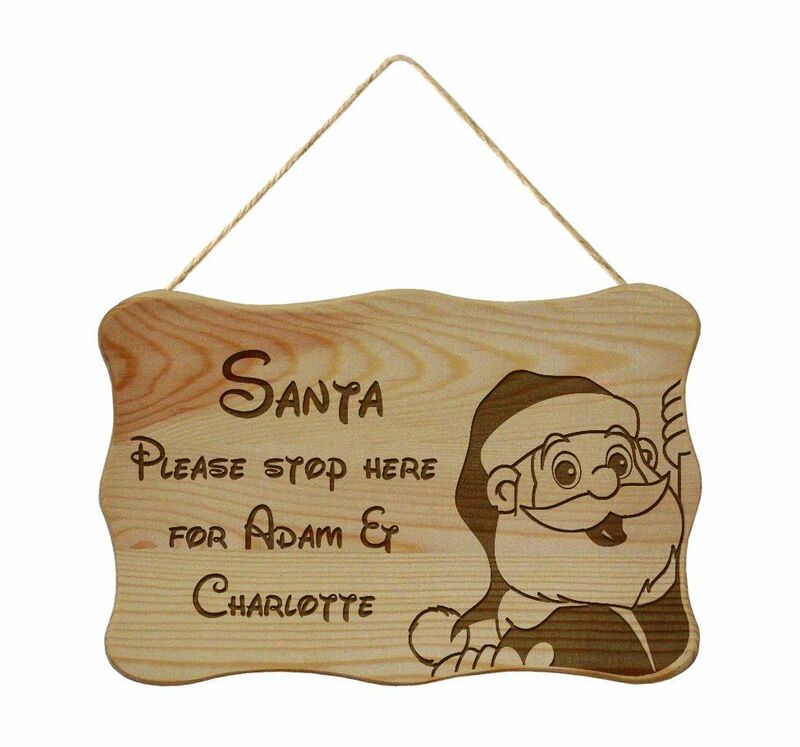 Made from rubberwood and attached with rustic rope this hanging plaque has an image of Santa on one side and the wording 'Santa please stop here for (Child's Name)' on the other side. It is light enough for use with fixings like suction cup hooks allowing it to be hung from surfaces such as glass doors and windows. For indoor use only.